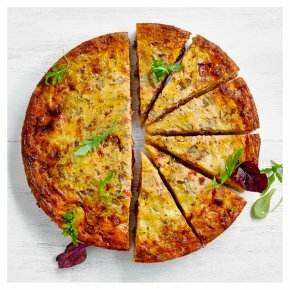 A golden potato tortilla full of Spanish flavours, with free range egg, Manchego cheese, smoky Spanish chorizo and roasted red and yellow peppers. Cut into wedges and serve warm or cold, with antipasti, good bread and a green salad. Or for a party, try cutting into small squares and serve as a canapé.